Andy Jay & S-Tee are a pioneering DJ/ Production duo who made their name on the UK Garage scene in the late 1990s. They’ve worked closely with some of the leading producers and labels of the genre, including Ice Cream records, The Dreemteem and Zed Bias, and have built up their reputation as one of the most dynamic talents on the scene. The duo have produced and co-produced some of the biggest tracks from the Garage genre such as 7 Wonders - Crazy. 15 years on and with a number of releases to their name, Andy Jay & S-Tee have developed their own unique and exciting sound of electronic music. Their sound is diverse and covers a wide market; ranging from House and Garage through to Experimental. Early in 2011 their experimental track Andy Jay & S-Tee ft Rubi Dan’s ‘Funky Dip’ was picked up by Malibu Drinks Company for use in the Malibu TV advert. The track was later released on Ice Cream records. Other tracks released to date include Tasha’s Touch on Me, Crunk vip, Tutti Frutti feat. Big Rob, Spiralling feat. Charlene and Nothing To Me feat. Tasha along with the Spiralling re-edit EP were all signed to Loodma Recordings (European/American label). Havin it large feat. MC Shanti, see u move feat. Sophia Ellahee all signed to Ice Cream Records and Knocking on your Door, which featured on Marcus Nasty’s official Rinse FM compilation album. 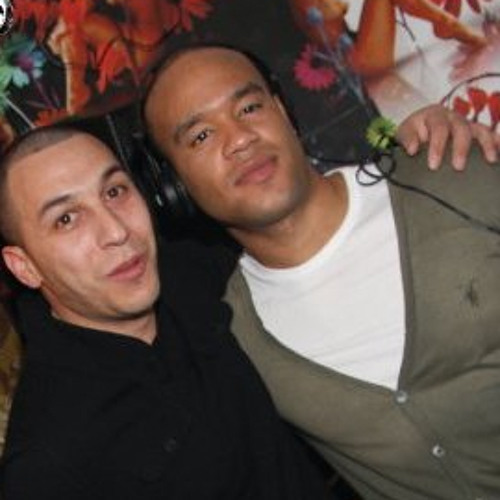 The duo regularly work with the key DJs and artists in the scene, and have produced remixes for artists such as DJ Q, Champion, Digital Dubstar, LR Groove, Riskgo, Miss Fire, Undisputed and Notion & Brackles. As well as playing DJ sets all over the country, their tracks receive regular radio play on BBC Radio 1, BBC 1Xtra, Kiss FM and Choice FM, and the duo have made 7 guest appearances on BBC 1Xtra. With their own diverse and exciting sound they’ve carved out an influential place on the Electronic scene. In 2012 they launched a brand new label, Certified Records. This label showcases their own material as well as up and coming and established producers and singers.